For some, the idea of playing a board game is met with thrill as the excitement of taking on an opponent is just too strong to pass up. For others, it dredges up dark memories of many a Christmas Day afternoon where monopoly got a little out of hand. It seems the world of board games is springing back into life as there seem to be more and more games available to play and what’s more, they aren’t all competitive…in fact some of our favourites promote collaboration amongst players. Here are our top five picks. Four diseases have broken out in the world and it is up to a team of specialists in various fields to find cures for these diseases before mankind is wiped out. Players must work together playing to their characters’ strengths and planning their strategy of eradication before the diseases overwhelm the world with ever-increasing outbreaks. For example the Operation Specialist can build research stations which are needed to find cures for the diseases. The Scientist needs only 4 cards of a particular disease to cure it instead of the normal 5. But the diseases are out-breaking fast and time is running out: the team must try to stem the tide of infection in diseased areas while also towards cures. A truly cooperative game where you all win or you all lose. As skilled members of a disease-fighting team you must keep four deadly diseases at bay while discovering their cures. You and your teammates will travel across the globe treating infections while finding resources for cures. The clock is ticking as outbreaks and epidemics fuel the spreading plagues and you must work as a team to succeed. Can you find all four cures in time? The fate of humanity is in your hands! If you’re interested in board games that keep you thinking and reward strategic planning with a victory, then we highly recommend you consider Power Grid. The objective in Power Grid is to be the person who can supply power to the most cities in the network when the game ends. And the end of the game is triggered by the players. Keeping an eye on the other players, their progression, their city network, their power plants, and their resources is key to doing well in the game. Players mark pre-existing routes between cities for connection, and then bid against each other to purchase the power plants that they use to power their cities. However, as plants are purchased, newer, more efficient plants become available, so by merely purchasing, you’re potentially allowing others access to superior equipment. Players must also acquire the raw materials (coal, oil, garbage, and uranium) needed to power their plants (except for the ‘renewable’ windfarm/ solar plants, which obviously require no fuel), making it a constant struggle to upgrade your plants for maximum efficiency while still retaining enough wealth to quickly expand your network to get the cheapest routes. Harry Potter Hogwarts Battle is a cooperative deck building game for 2 to 4 players that, depending on which game you’re playing, could take 30 minutes, or well over 90 minutes. Players are taken on a journey through the seven films adapted from the books. They span the years of Harry Potter learning at Hogwarts School of Witchcraft and Wizardry, meanwhile encountering the likes of various villains and one particular villain who-should-not-be-named. Players achieve their goals through some pretty standard deck building mechanisms and combating villains with spells, items, and companions along the way. It is a wonderful introduction to cooperative games and deck building for new gamers. Think you have what it takes to make Mars habitable? Well well have we found the game for you! The Settlers of Catan is a highly rated board game that has won several awards and members of the Booko online community highly recommend. Between 3 and 4 people can play the base edition, but a 5 to 6 player expansion is also available if you want to play with more people. You can use multiple strategies to win, and there are lots of variations to the rules. Picture yourself in the era of discoveries and after a long voyage of great deprivation, your ships have finally reached the coast of an uncharted island. Its name shall be Catan! But you are not the only discoverer. Other fearless seafarers have also landed on the shores of Catan and the race to settle the island begins! The popularity of playing board games seems to be making a resurgence. There are so many to choose from. 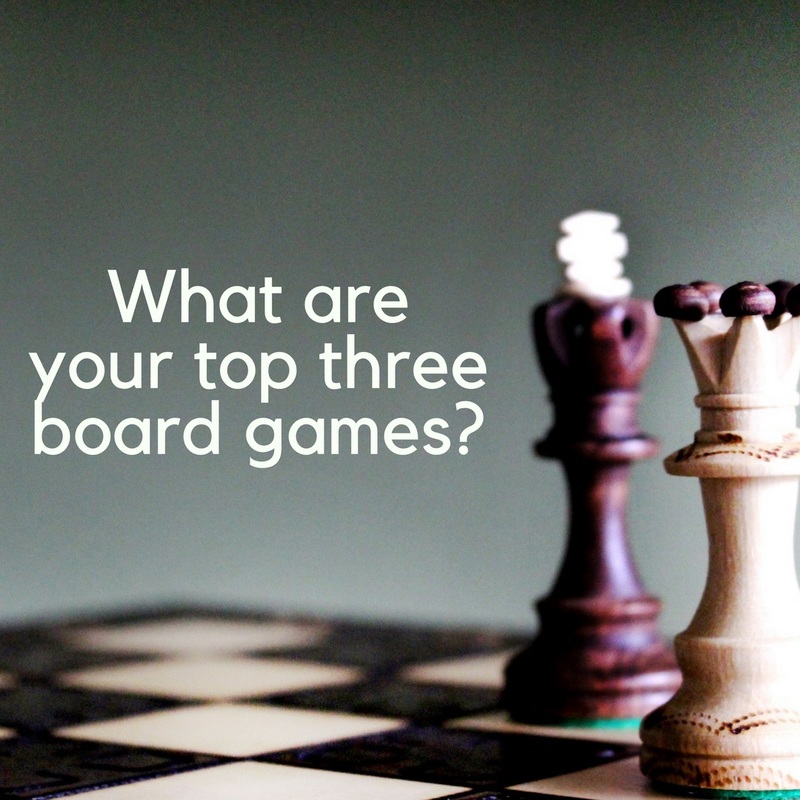 What are your top three board games to play? Jarrett Krosoczka gets to use his imagination as his full time job writing children’s books. in this Ted Talk he shares with us 10 new children’s books that are bound to become classics. 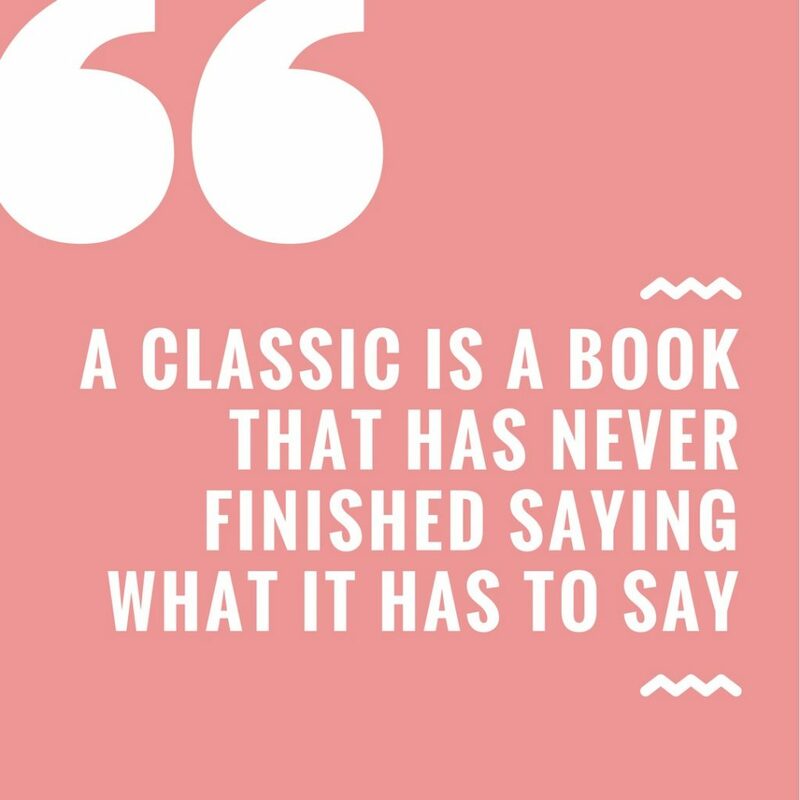 This week on the blog we’ll be sharing tips to help you share the love of classics with your children, but for now we have this little gem for you.